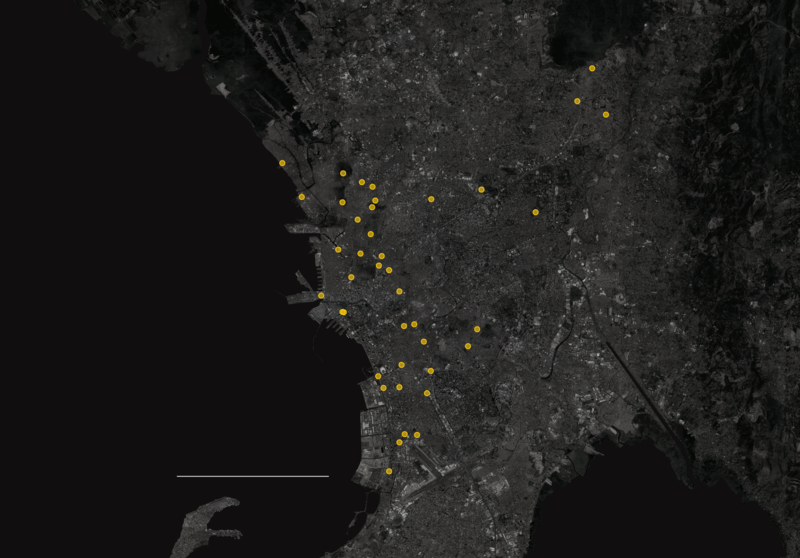 Over my 35 days in the country, I photographed 57 murder victims at 41 sites, each represented by a yellow dot on this map. I witnessed bloody scenes just about everywhere imaginable — on the sidewalk, on train tracks, in front of a girls’ school, outside 7-Eleven stores and a McDonald’s restaurant, across bedroom mattresses and living-room sofas. I watched as a woman in red peeked at one of those grisly sites through fingers held over her eyes, at once trying to protect herself and permit herself one last glance at a man killed in the middle of a busy road. Not far from where Tigas was killed, I found Michael Araja, shown in the first photo below, dead in front of a “sari sari,” what locals call the kiosks that sell basics in the slums. Neighbors told me that Mr. Araja, 29, had gone out to buy cigarettes and a drink for his wife, only to be shot dead by two men on a motorcycle, a tactic common enough to have earned its own nickname: riding in tandem. In another neighborhood, Riverside, a bloodied Barbie doll lay next to the body of a 17-year-old girl who had been killed alongside her 21-year-old boyfriend. “They are slaughtering us like animals,” said a bystander who was afraid to give his name. On Saturday, Mr. Duterte said that, in a telephone call the day before, President-elect Donald J. Trump had endorsed the brutal antidrug campaign and invited him to visit New York and Washington. “He said that, well, we are doing it as a sovereign nation, the right way,” Mr. Duterte said in a summary of the call released by his office. 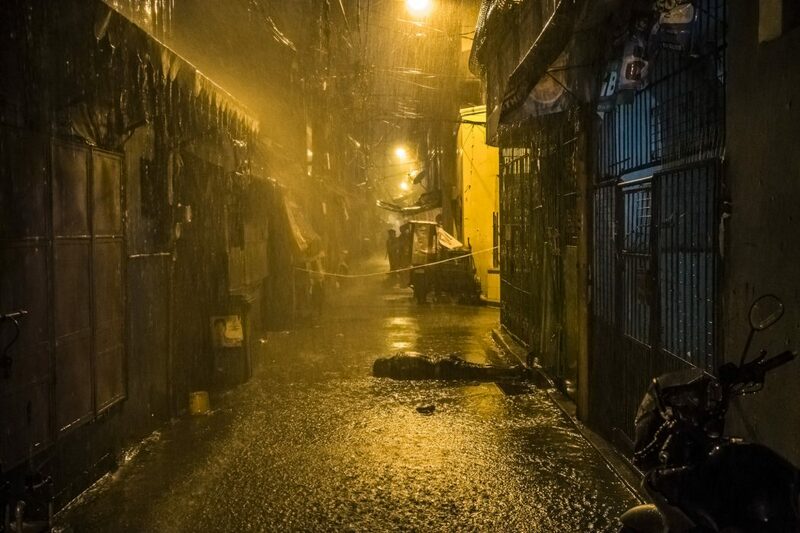 Beyond those killed in official drug operations, the Philippine National Police have counted more than 3,500 unsolved homicides since July 1, turning much of the country into a macabre house of mourning.